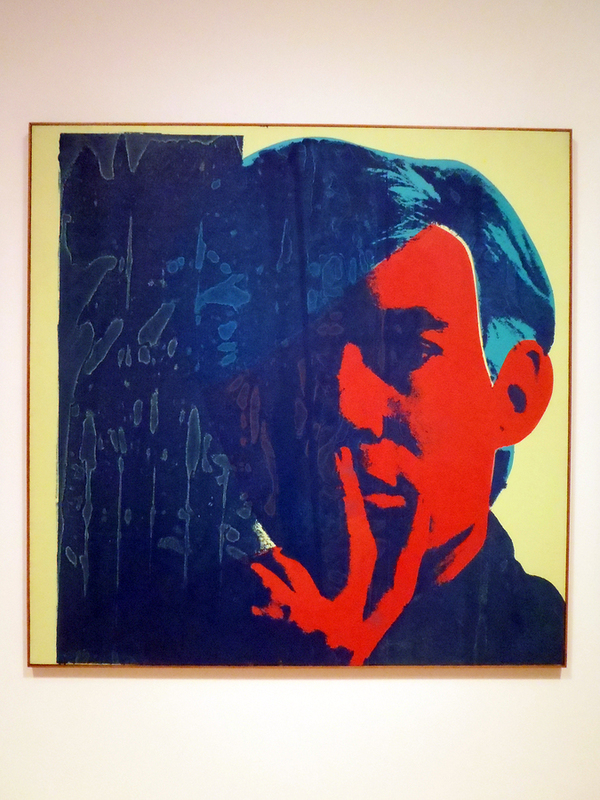 Andy Warhol made his name by making paintings from a silkscreen and inking the back, creating masterpieces like the Eight Elvises. There was no limitation to the focus of his work where Warhol’s work ranged covered everything from Coke bottles to the iconic Monroe. His unique reproduction of people in his photos, had a profound affect on his peers and they began to closely identify with his work. Simplistic, experimental and brightly coloured, he used everyday household objects to create images like no other at the time. His striking and iconic style will instantly produce bright, vibrant imagery. In 2009, an unknown artist purchased Andy Warhol’s famous painting, the Eight Elvises for an amazing price of 100 million dollars! 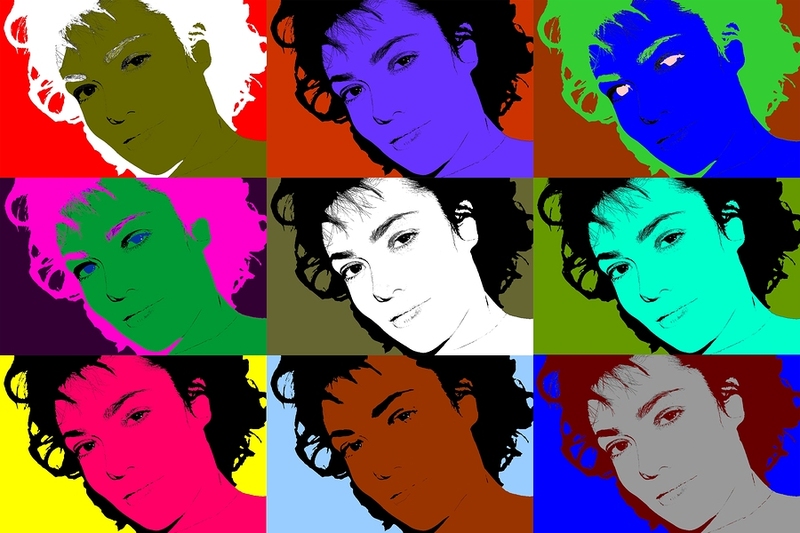 Using Photoshop Elements it is possible to recreate the Warhol Monroe style image by using layer and blend modes to build up the effect. 1. The first task is to cut out the main focal point of the image from the background. Use the Lasso tool in Photoshop and draw around the subject as best you can to create an outline, around the face, upper body and hair until reach your starting point and complete your cut out. 2. Create a new layer by copying the selected area and placing it on a new layer by using the Layer menu and select New > Layer via copy. This will then appear in the Layers panel con the right hand side. By using this layer method in photoshop you can edit, and manipulate various elements of your picture to create the desired effect. 3. Focusing on just the cut out layer, we need tone down the detail in the face for our effects. To do this go to the Filter menu and Select Adjustments > Threshold. We need to remove the detail of the face for the effect to work properly. Go to the Filter menu and Select Adjustments > Threshold. This filter looks at the tones of an image; anything lighter than mid-gray is made white, anything darker than mid-grey is made black. The initial effect is too strong and has too much black; we need to balance it out. Using the slider drag to the left which will have the effect of replacing the black areas with white. Setting the value at around 75 is often about right. 5. To add colour to the image select the cutout area. Press and hold the Ctrl key on the keyboard and use the mouse to select the cutout layer’s thumbnail. Go to Layer > New > Layer. A dialog box will appear. Create the first layer which in this case will be Skin. Using the Edit menu, select Fill Selection and select Colour you would like to use for the skin from the palette. Click OK to set the colour and then confirm in the Fill dialog to fill the selection. 6. The colour layer is at the top right now so we need to blend the layers to bring the image together, click the Blend Mode menu at the top of the Layers panel and select Multiply. By using this mode you only affect the areas that are lighter than the current layer and as the layer below is mono. The dark areas are ignored so the colour only applies to the white areas. 7. To create detailed colours we create a new layer above so create a new layer as before and name it. Again using layers and the blend effect we want the colours to show through so set the Mode to Multiply and confirm. Next using the Brush tool in the Toolbox, open the brush picker and select a decent hard round pixel size. Starting with the hair pick a light colour such as yellow to bring some vibrancy to the image. Paint over the hair area so that all of the hair is painted and you are happy with colour selected against the black colour detail. Add other colour details Go back and paint over the lips in red or pink and then add different colours for the eye shadow affect and the actual eye iris. 8. Next we need to add white back into the teeth and eyeballs so click the skin layer to make it active and using the eraser tool, use a small sized brush tip to erase the desired white areas by letting the lower layer through. 9.. 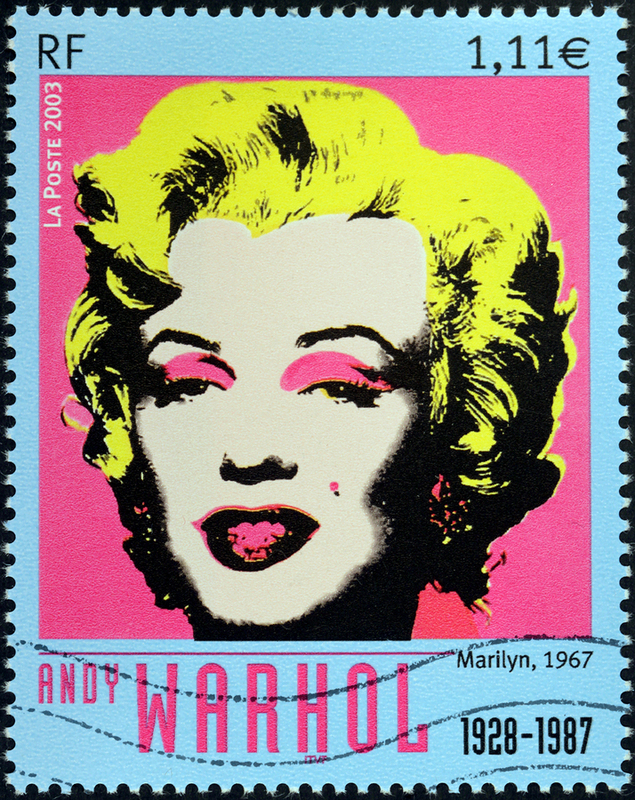 In the Warhol original, the white areas (teeth and eyeballs) were left in skin tone. If we want to add the white in on the image, we’ll need to do it a little differently. Painting with white will have no effect on this layer, as it’s set to Multiply. Instead, click on the skin layer’s thumbnail to make it the active layer. Now select the Eraser tool. Using a small brush tip, erase the areas that you want to be white. Basically, what we are doing is letting the original black and white layer show through. 1o. 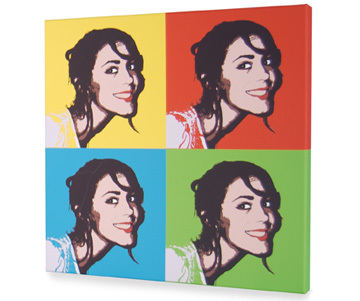 Warhol’s typically have a bright background colour so to do this remove the selection by choosing Deselect from the Select menu, click the background layer thumbnail and create a new layer by selecting New from the layer menu and the choose Edit, Fill layer and choose your colour from the colour palette to complete your image!